Six of the most anticipated games releasing in 2016! 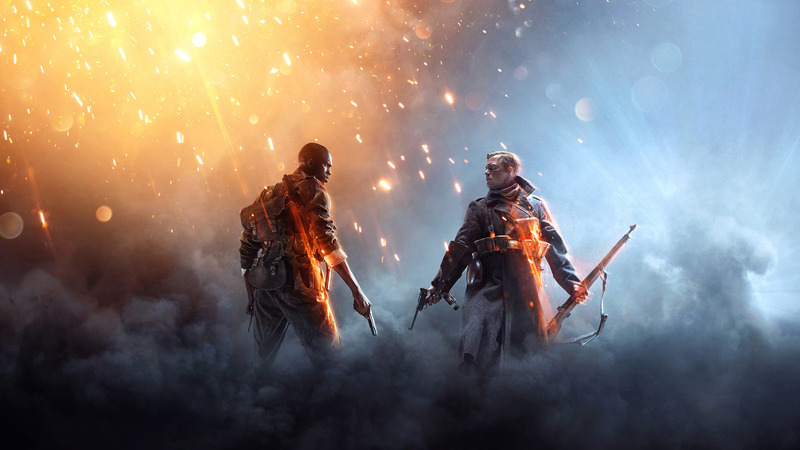 We here at LevelCamp are long-time fans of the Battlefield series, and confusing numerology aside, Battlefield 1 has us all chomping at the bit to dive into World War 1. With Battlefield 1 heading into territory not visited in gaming for several years and with the step away from modern warfare, EA are looking to reignite some of the old fires and excitement we’ve not felt since Battlefield 3 and its improvements upon the classic Battlefield 2. One of the elements that will create a truly chaotic and unique experience is the return of Bad Company style destructibility, with the environment and buildings crumbling as the war rages on. Terrain deformation will occur before your eyes as explosives rip holes into the ground, holes large enough to hide in and give you a new perspective of attack. As Battlefield 1 plunges you into the past, you will get to experience a whole host of new vehicles from that time period. You will be able to charge into battle atop horses, fly single-engine planes through the skies, and even man one of the Battlefield 1’s new behemoth vehicles, one of which is a train that passes the combat zone and is armed to the teeth with enough firepower to level buildings and pluck planes out of the sky. Then there is the weaponry of Battlefield 1. Taken directly from the history books, you won’t be using another M16, you’ll be using the MP 18 SMG to clear enemies out of a trench. And instead of throwing a sticky piece of C4 onto a tank, you’ll be hurling a stick of volatile dynamite! One of the greatest and most rewarding combat moves in Battlefield is to gut someone with your melee attack, and in Battlefield 1 it is no different. You will be able to use the bayonet that is attached to your weapon to charge toward an enemy and stick ‘em. Or use it for a tactical retreat for a short burst of speed to help you flee. Battlefield 1 is shaping up to be one of the games that change a genre. The war shooter has been stagnant in modern warfare, but perhaps the answer is to look back in our past and relive some of the moments we might have forgotten. We’ll see you on the battlefield. 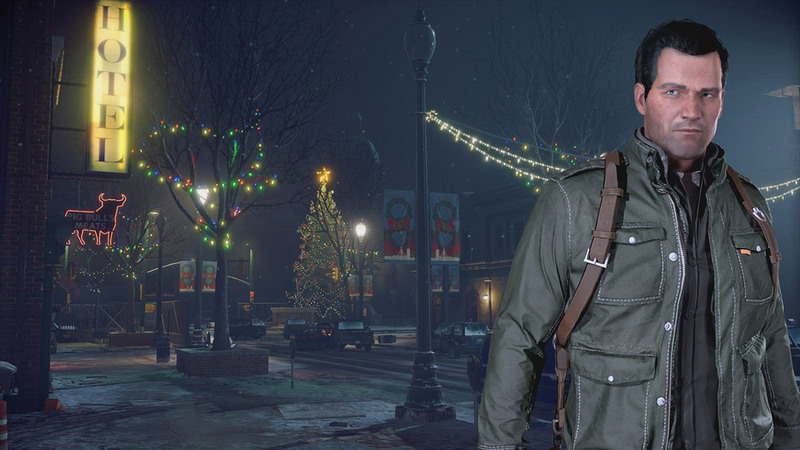 Dead Rising 4 is set to shamble back onto systems and back into our hearts in December, just in time for Christmas, which is fitting as the series is set to return to the iconic Willamette Mall during the December holiday season. Not only will it return to a familiar location, but our beloved Frank West is leading the charge against the undead horde all while wielding his trusty camera. For those who missed out on the original Xbox 360 game, Dead Rising was set in an enclosed shopping mall in the town of Willamette. It shook up the genre with its tongue-in-cheek dialogue and the inventive ways you could kill and play with the zombies. A zombie game that wasn’t glib and dark, but vibrant and comical. Dead Rising 4 looks to be heading back in this direction with more focus on outrageous weaponry, such as exosuits and zombie-flinging cars. Despite the comical weapons, Dead Rising 4 looks like it uses a darker color palette. We miss the overly bright world, even if it is just an aesthetic. Dead Rising 4 brings with it some improvements upon the formula, some of which the players have wanted since the first entry in the series. Time constraints are no longer included in the game, meaning you will be able to walk a little slower and explore even further. No more will you receive the dreaded, “Out of Time,” screen if you don’t make a checkpoint. This is aimed to encourage players to actually explore and find some of the secrets hidden in the game. With a bigger area comes with it the need to include more zombies, and Dead Rising 4 is going to deliver, as it pushes the technical limits of the Xbox One. Come December, gamers are going to be able to take the hand of Frank West and plunge back into the Romero-inspired Dead Rising 4. Deus Ex has always been a series about approaching a situation from as many different angles as humanly possible, and Deus Ex: Mankind Divided is sure to push the limits of this idea. 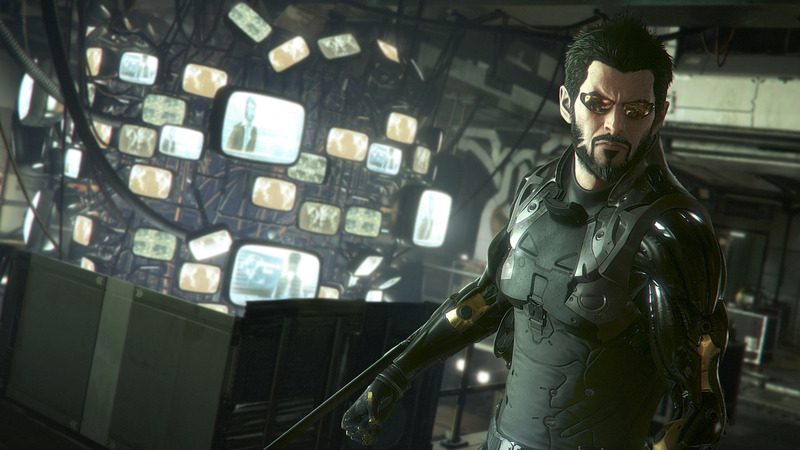 Two years after the events of Deus Ex: Human Revolution, Adam Jensen finds himself as an experienced covert operative trying to uncover a worldwide conspiracy. In a world consumed with modern warfare shooters and open-world games, Deus Ex revels in its desire to lead us down a single story path told through the lens of a Neuromancer-like cyberpunk setting that the likes of which William Gibson would approve. In Deus Ex: Mankind Divided, the world of man, as the name suggests, has seen a rift form between those with mechanical augmentations and the normal, non-upgraded humans. This split in society is caused through a group known as the Illuminati. Their end goal is unknown, but the effect is already seen as the likes of Adam Jensen are shunned and thrown aside. It will be up to you to uncover, hunt down, and shutdown those responsible for the shift in public opinion toward humans like you. But the enemy is more than just the cloak-and-dagger of a hidden force. You have the uprising of those who have been oppressed to deal with, along with the entity doing the oppression. In order to take down these villains you will need all the weapons at your disposal. Deus Ex: Mankind Divided brings with it gunplay as well as the customization of your augmented abilities that have become a staple of the series. Will you opt for a more stealth-oriented build, using cloaking technology and silent kills to defeat your enemies or does a hardened shielding system and loud firearms sound more your style? Whether we’re sneaking or blasting our way through levels, Deus Ex: Mankind Divided promises to be an exhilarating adventure through the grim world of 2029. It’s been over seven years since The Last Guardian was originally announced in 2009 and it was beginning to feel like that was the last time we would see the game. But at E3 in 2015 something amazing happened; The Last Guardian was revealed to be very much alive and in production. One year later at E3 2016, we received a miraculous piece of information: The Last Guardian has a release date, October 2016. From genDESIGN and SIE Japan Studio, the creative team that brought us the spellbinding Shadow of the Colossus and Ico, The Last Guardian is set to revisit all the emotions thrown upon us in the previous adventure titles. Though the word adventure doesn’t quite paint the picture of what these titles impressed upon the player. 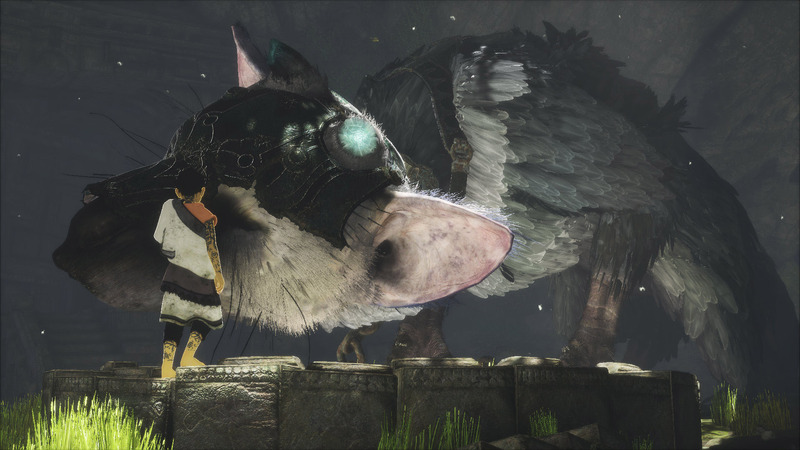 A common theme throughout these games is that of friendship and reliance, and the same can be said about The Last Guardian. In The Last Guardian, players take on the role of a young boy who befriends a legendary creature of unknown origin. The unlikely duo must work together to not only escape the guards, but to flee the crumbling city altogether. Gameplay in The Last Guardian requires that these two characters work together to solve puzzles and traverse the terrain. Due to the creature being just that, a creature, the players will need to cajole the animal into not only cooperating, but performing tasks to help solve the puzzles. You won’t be limited to merely training the griffin-creature into behaving and helping you, but you will need to care for it, helping heal it and treat its wounds. As the game progresses and you gain a stronger control over the creature, so will the bond between boy and animal, player and game, increase. We have no idea how we’re going to react if the game tasks us with sacrificing the adorable griffin-like creature. Regardless of how the narrative plays out, The Last Guardian is definitely one of the most anticipated games of 2016. 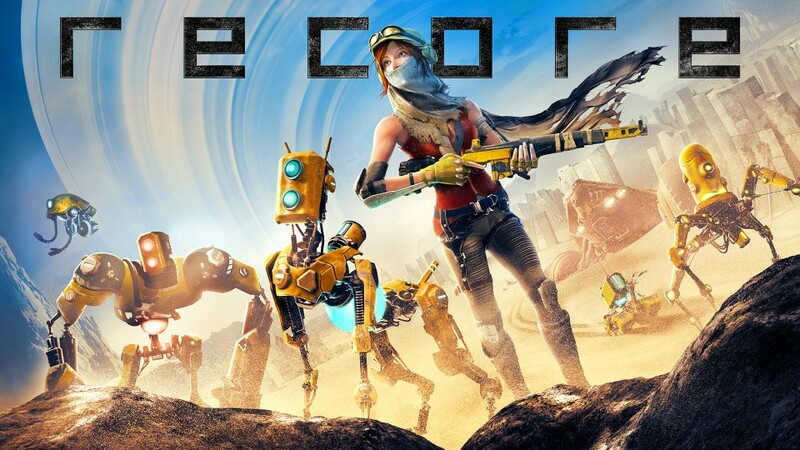 From a group of minds that helped create the famed Metroid Prime 3: Corruption, comes ReCore, a wasteland adventure game for Microsoft platforms that features a heroine, Joule, and her companion, a robot dog called Mack. The main premise is simple. Joule is able to collect and use cores to power-up robots, to what effect we aren’t certain, but it’s a sure bet that the different robots will be used to solve different puzzles in the game. This is a popular trait in video games, like Kameo, where to solve a puzzle you must change your physical attributes. However, the difference with ReCore is that it is your companion that must change. ReCore introduced us to this concept with the original trailer where Joule and her robot dog Mack, are backed into a corner against other, red-cored and obviously evil, robots. The dog saves Joule by self-destructing the chassis, which leave the blue core on the ground for Joule. Joule takes the core and inserts it into a humanoid frame, and as it awakens, it recognizes her. It would seem that the core is the brain or soul of the mechanical creatures and it’s through this core that Joule will be able to alter the physical attributes of Mack to help solve puzzles. One of the interesting aspects of ReCore is the shifting landscape. Being set in the middle of a wasteland covered in sand, the structures around you will either become covered in sand or cleared after a sandstorm passes. This allows for a dynamic player experience, where a familiar area can potentially drastically change in appearance, creating more areas to explore. Stories that are set in a post-apocalyptic world are often cut from the same cloth, but with ReCore there’s a sense of uniqueness. Joule is one of the last remaining humans on Earth after some untold tragedy wiped the slate clean. But now there are two warring factions of robots: the good robots like Mack, who are trying to bring humanity back from the brink of extinction, and the classic red and evil robots that want humanity gone. The small indie game from 2012, Journey, has taught me how much I enjoy trudging through a sandy world, seeing my footprints recede into the distance as I scale new heights, so the excitement behind ReCore is no surprise. With the creative minds of Metroid backing this creative piece, I’m sure ReCore is going to be an experience to remember. Titanfall dropped onto our consoles in 2014 and blew us away with mech battles not seen in years, and Titanfall 2 looks to live up to and exceed what was experienced two years ago. The original Titanfall had essentially no single player campaign, save for a few training missions. 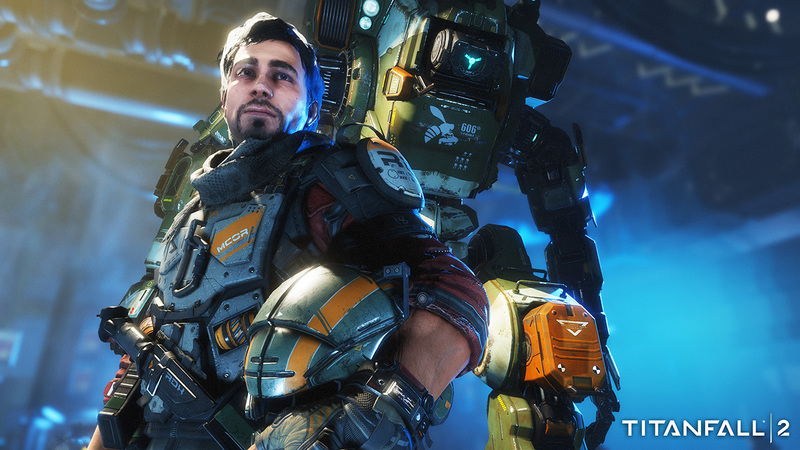 Titanfall 2 is going to change that drastically with an extremely relationship-focused campaign. You are introduced to your own Titan, BT-7274, but not before something horrific and questionable happened in its past. BT-7274 was originally assigned to another pilot, someone like you, but they were killed in action. This draws the attention of the higher-ups and BT-7274 is questioned about the legitimacy of its claims. The story looks to be much like a couple of other games on this list of most anticipated games of 2016, in that it builds a strong relationship between you and another personality, this time a massive killing machine. Much remains the same in Titanfall 2’s multiplayer. Jumping, running, wall-running, and calling down Titans are still present, but the game brings with it new weapons and abilities. The grapple allows you to zip around the map with greater ease, lifting you to places otherwise unreachable, even allowing you to yank enemies closer. The Holo Pilot is similar to Halo’s classic Hologram, as it projects a replica of your last movements, causing your opponents confusion. Then you have the Pulse Blade, offering some up-close and personal kills as well as the ability to send out a sonar pulse to detect nearby enemies. Titanfall 2 is set to be a crowd-pleaser with its intriguing single player narrative and its fast-paced competitive multiplayer. Get ready, because come October 28th, Titanfall 2 is going to crash land on all systems and demand your attention. Are there any games you think we missed that deserve a spot on our list of most anticipated games of 2016? Player completes Titanfall 2 Gauntlet BACKWARDS in 34.70 seconds! When completing the Titanfall 2 Gauntlet, why not try it backwards?